This post started simply enough, I wanted to feature Star Wars Dark Empire #1. Dark Empire #1 was Dark Horse’s 1991 launch of their Star Wars license. Dark Horse did us all proud with their Star Wars titles producing quality Star Wars comics for 23 years right up until Disney/Marvel took it all back in 2014. We owe a lot to Dark Horse, they kept the flame burning in those years before the second movie trilogy and even after that disappointing trilogy left us all wondering. I still think Dark Empire #1 is a valid pick; its dirt cheap right now and it shouldn’t be. 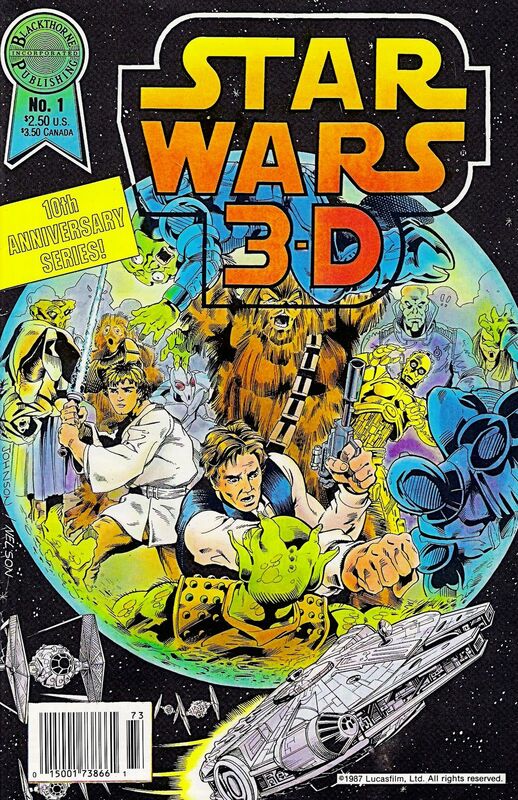 Anyway I’ve changed my mind mid-stream and have decided to feature Blackthorne Publishing’s elusive 1987 Star Wars in 3-D #1. There were actually 3 issues in this series, Blackthorne 3D Series #47 (#2) and 48 (#3) were the issues that followed. I honestly can’t recall ever having any of these. I most likely did and they most likely ended up in the Bargain Bins. I know I don’t have any at the moment. 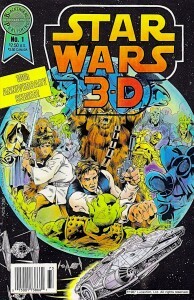 Blackthorne published these comics to commemorate the 10th anniversary of 1977’s Star Wars movie. The time line in the story is shortly after A New Hope and centres on Luke Skywalker’s return to Tatooine. Len Wein, famous Swamp Thing and Wolverine scribe takes writing honors while Glen Johnston gets art credits. These Blackthorne 3-D issues are nice pieces and they act as a comic book bridge between Marvel’s Star Wars run and Dark Horse’s. 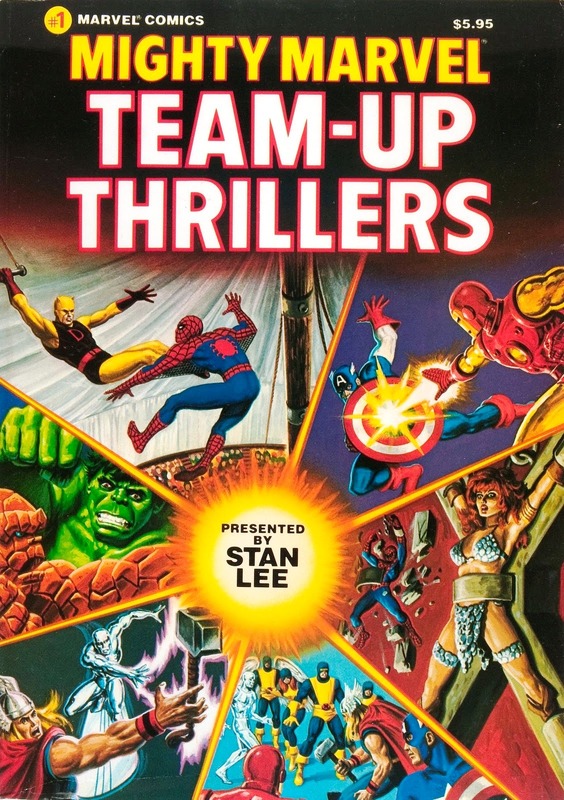 There was actually supposed to be 6 issues published but the series was cancelled after the 3rd. 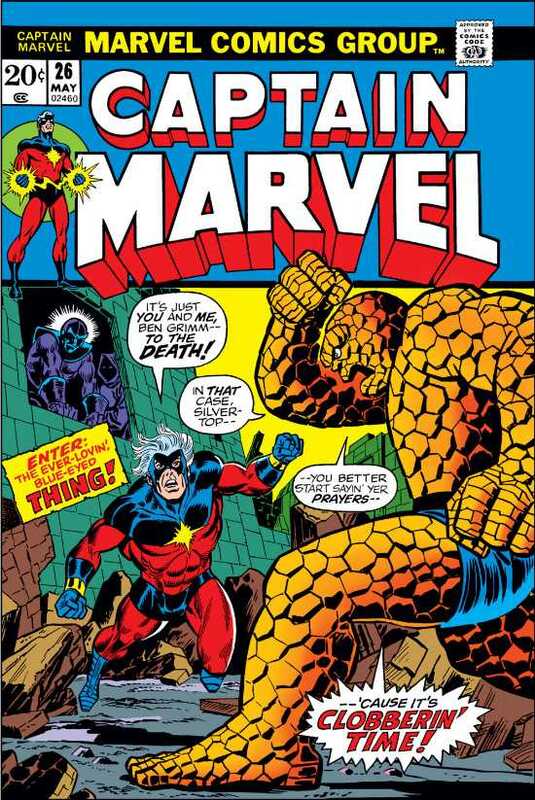 I want to remind everybody that Marvel’s initial 1977 series, which lasted 107 issues through to 1986, is hot in the market right now and the whole run will continue to get hotter as the Star Wars property slowly takes over the world. You can’t get near a #1 anymore and the 35 cent version is on its way to surpassing Action #1 in value at the rate it’s climbing. The Return of the Jedi adaptation that started with #39 and included Boba Fett’s appearance in #42 are really picking up steam and most of the issues #100 and above are all being very actively scooped up by collectors. I’m saying all this in hopes of convincing you that perhaps the market will discover other unique and relatively scare Star Wars comic books. Perhaps Blackstone’s 3-D Star Wars #1, and the next two issues for that matter, get exposed for what they are, tough to find Star Wars comics post Marvel? The more Star Wars fans know about these the harder it will be for them to resist the urge of owning their own copies!! 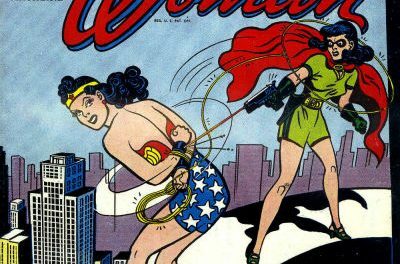 The 44th edition of the Overstreet Comic Book Price Guide shows $14/$19/$24 as the 8.0/9.0/9.2 price splits. (Listed in the Guide under Blackthorne 3-D Series). PreviousFan Expo Vancouver: 2015 Edition! This is the kind of pick i like Walt. Under the radar, and dirt cheap. Is Dark Empire the better pick to speculate on? Seems easy to find rather than the 3D Blackthorne series…. Dark Empire is a safe bet I think but I like the potential this Blackthorne issue brings. Like Nestor says, its way under the radar. Thanks for sharing all the info Darren. These are some cool comics.